Reposting this essay I wrote two years ago and continuing the tradition. Ill be making this tomorrow for my 92 and 93 yr old aunt and uncle in Vermont along with my Dad. Hope you’ll join me tomorrow at least in spirit. Feel free to share. 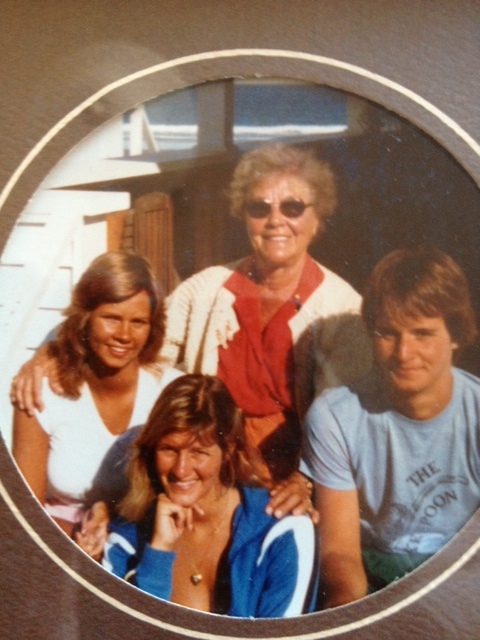 Although my sister has been gone nearly 25 years now, the grieving process is often tricky, circuitous, mysterious and at times enlightened. I made a personal turning point this summer related to certain chains of events where I finally, after all of these years, found a way to start asking for an absence to be filled with a presence and in many conscious ways have started inviting my sister back in to my life. The need for connection finally outweighed the pain of feeling only a void and she’s started coming back to me in some truly miraculous ways. I guess it truly is never too late. So this Monday September 16 marks what would have been Cindy’s 55th birthday. Food and cooking was always very important to Cindy (her Bachelor’s was in Nutrition). I started thinking about what was one special dish that reminds me of her. And it was totally clear–her chicken cacciatore that she always made for me on my birthday. I have been in possession of but not looked inside her recipe file box in all of these years. 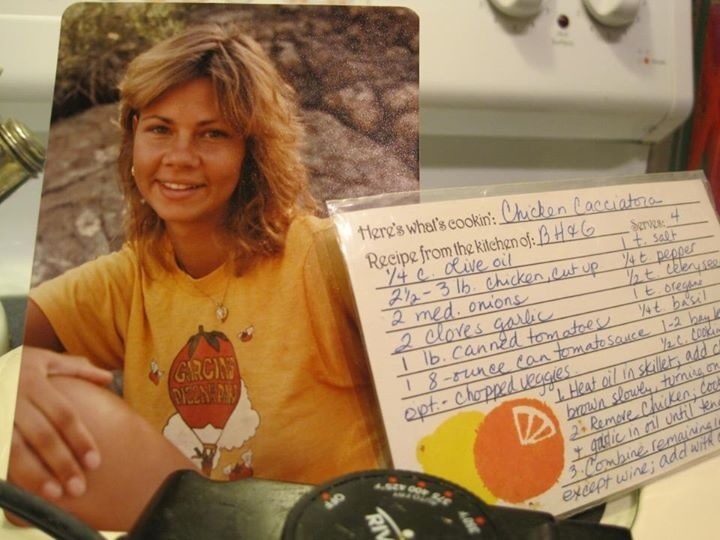 I opened it last week and there it was, in her own handwriting–her Better Homes and Gardens recipe for “Chicken Cacciatora” although she nicknamed it “Chicken Catch My Story” which is always how she referred to it when she made it for me. So this Monday I will be making her recipe and invite any of you so inclined to make it as well (if you find this recipe too basic, feel free to use one of your own). And yes, she did always serve it with the “buttered egg noodles” just like BH and G suggested. And often threw in some zuchinni. She always used her well worn electric skillet. To end I’d like to quote Annelle from Steel Magnolias: “She will always be young. She will always be beautiful. 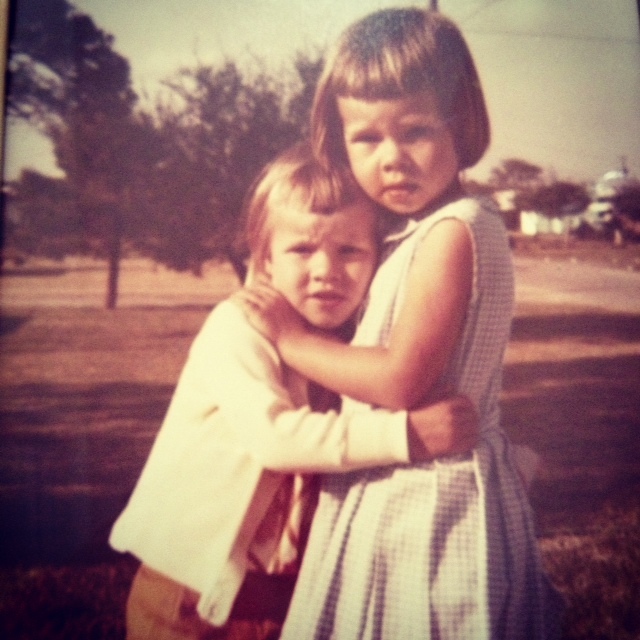 And I personally feel much safer knowing she’s up there on my side.” Happy Birthday Cindy. I love you. Very poignant story…I will share your essay and your recipe, if that’s alright with you? Grief is such a difficult emotion to experience, but it brings so many opportunities to reach in and then to reach out. I believe Cindy is smiling down on you, and is proud to be your inspiration. Please do share! Thank you! What a beautiful and heartfelt story.. I love it. Your precious sister would be thrilled and probably not surprised that you would honor her in such a simple yet special way. I’m sure she’s smiling at you. Happy 55th, Cindy! Your legacy of love lives on. Thanks for sharing this KCL–it made me cry. Loss is so difficult to navigate–I love this idea of doing something physical and tangible to celebrate the love that we shared with those we’ve lost here on earth. I will share my Father-in-law’s favorite pie–Key Lime–on his birthday in December instead of just grieving his absence & being sad. Thanks for sharing your sister with us! I know I would have loved to be her friend. I Love This…and I can hardly breathe reading it. Even for the 3rd time. Holding back the tears…I’ll be there in spirit and I’ll be making that, especially with the buttered egg noodles! (The 19th of Sept. will be my Mother’s Birthday and the 20th of Nov., my sister, Cindy, her Birthday. Cindy always said “be creative with your food.” My kitchen is going to be hopping! Once again, I am brought to tears by the love and devotion you have for your precious sister! What a beautiful and memorable way to continue to nourish your relationship with her! I, too, am about to make her chicken, and I’m a vegetarian. Sometimes an honor just needs to be shown, as is the case today. I honor Cindy, I honor Alfonse, I honor Jack, I honor Dottie, and I honor YOU, Kathy! Happy Birthday, Cindy! Your birthday, your story and your chicken are celebrated with love today!